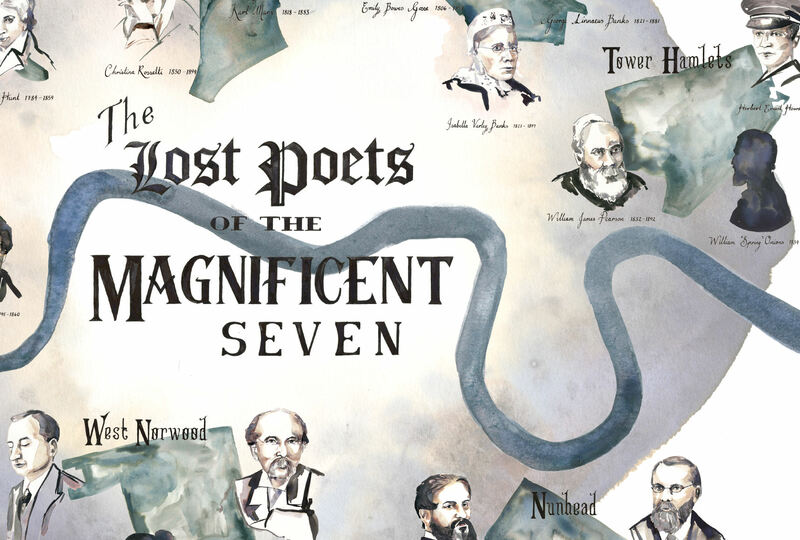 To accompany the publication of Chris McCabe’s Cenotaph South: Mapping the Lost Poets of Nunhead Cemetery, we commissioned artist Frances Ives to create an illustrated map of London’s lost poets, writers buried in the capital’s Victorian cemeteries. 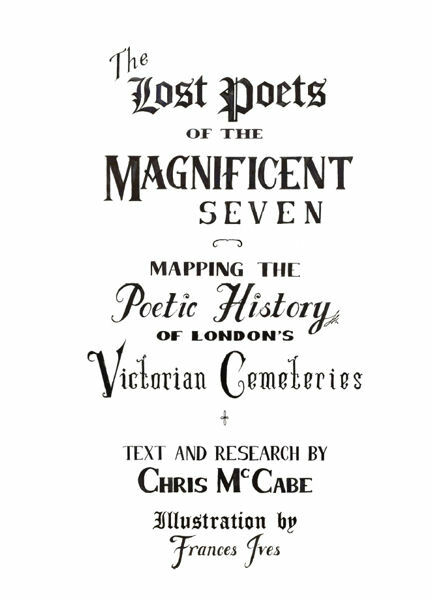 McCabe has uncovered 93 lost poets in the ‘Magnificent Seven’ – West Norwood, Nunhead, Tower Hamlets, Abney Park, Highgate, Kensal Green and Brompton. The map includes the celebrated figures Karl Marx, Christina Rossetti and Christopher Logue, alongside names forgotten to history such as Marian Richardson, John Yarrow and William ‘Spring’ Onions. This beautifully illustrated map is printed in a limited run, and features stunning watercolour portraits of 21 dead poets. The reverse lists the names of all 93 poets discovered in the Magnificent Seven. 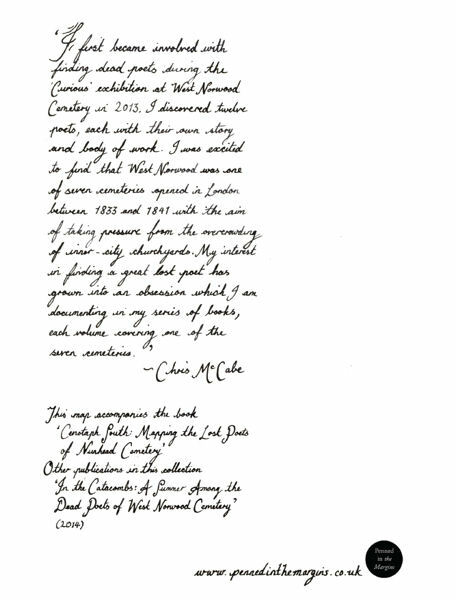 I first became involved with finding dead poets during the ‘Curious’ exhibition at West Norwood Cemetery in 2013. 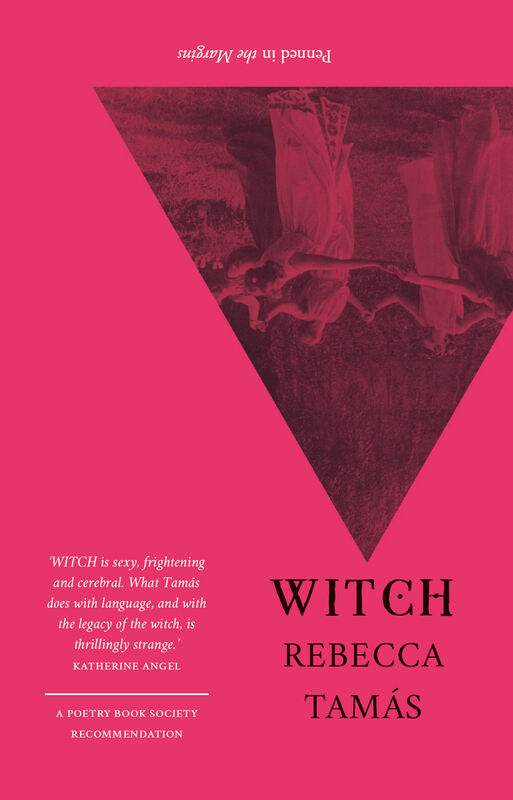 I discovered twelve poets, each with their own story and body of work. I was excited to find that West Norwood was one of seven cemeteries opened in London between 1833 and 1841 with the aim of taking pressure from the overcrowing of inner-city churchyards. My interest in finding a great lost poet has grown into an obsession which I am documenting in my series of books, each volume covering one of the seven cemeteries. 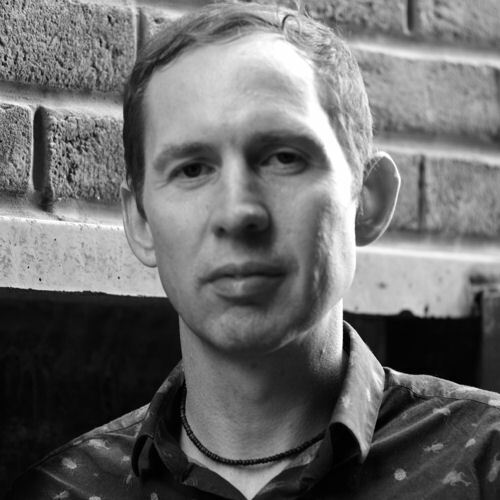 Chris McCabe was born in Liverpool and has written extensively about London. 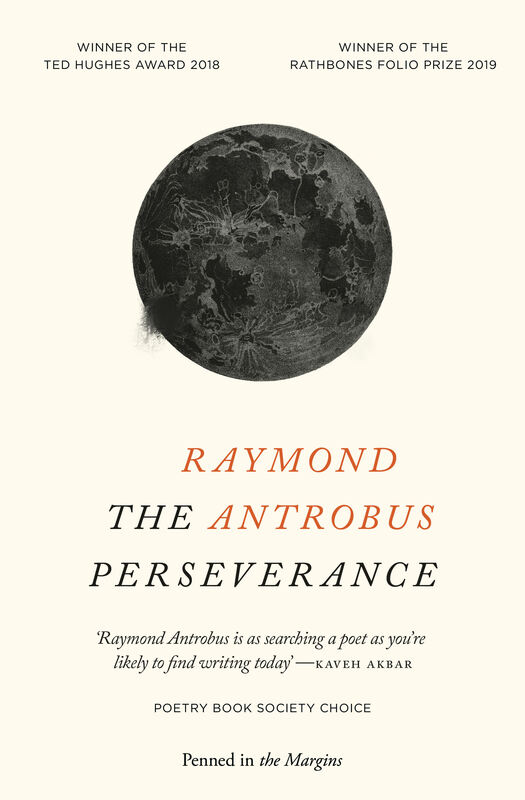 He was shortlisted for the 2013 Ted Hughes Award and has published four collections of poetry, the latest of which is the highly praised Speculatrix (Penned in the Margins, 2014). 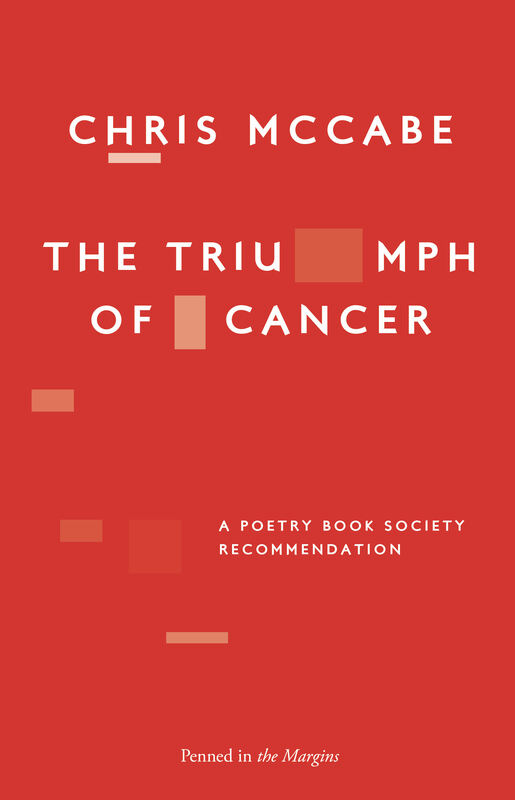 His prose books include In the Catacombs: A Summer Among the Dead Poets of West Norwood Cemetery (Penned in the Margins, 2014), Cenotaph South: Mapping the Lost Poets of Nunhead Cemetery (Penned in the Margins, 2016) and Real South Bank (Seren, 2016). 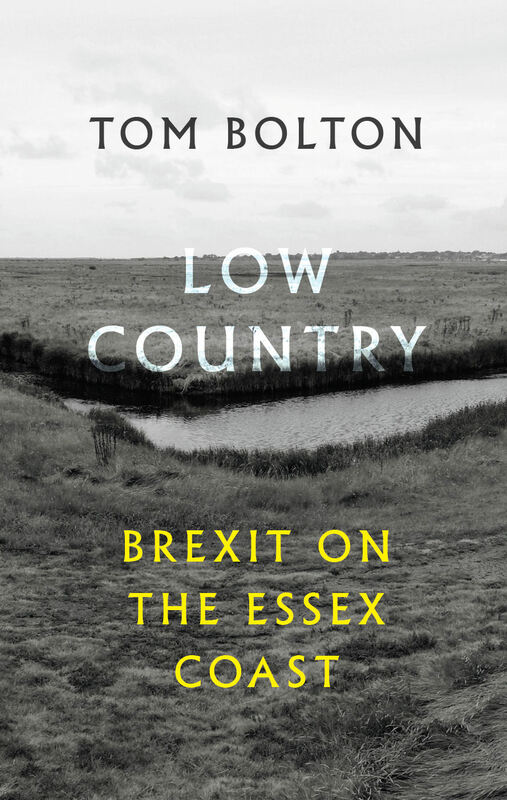 His work has been described by The Guardian as ‘an impressively inventive survey of English in the early 21st century’. 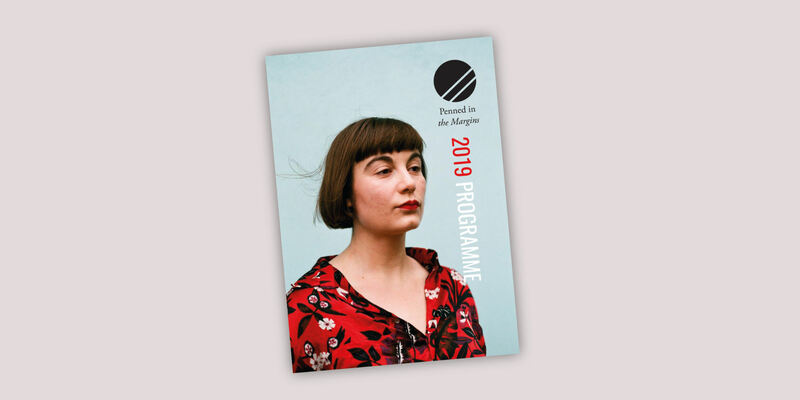 Frances Ives is a freelance artist and illustrator, who completed her MA Illustration at Camberwell College of Art in 2014. Frances draws from observation, and combines figurative drawings with abstract mark making to make her illustrations. 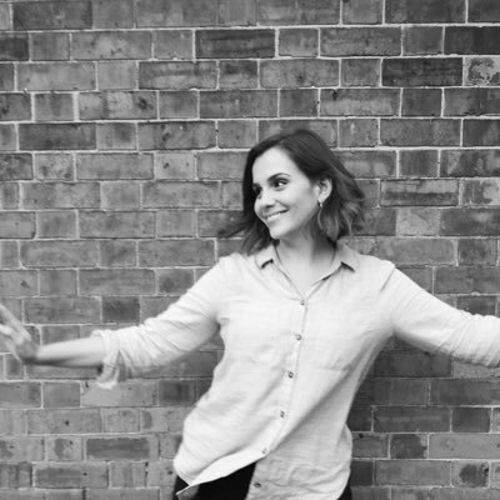 She works primarily in inks and watercolour, but sometimes mixes media and printing methods, composing elements digitally to create illustrations. She create original works, for exhibition or for commissions.